New Braunfels, TX, founded by German settlers in 1845, boasts an old world heritage that combines perfectly with its small town charm. Located in the heart of the Texas Hill country, this small town offers a diverse range of activities, attractions, and entertainment. Comal River provides most of the water for the water paradise Schlitterbahn Waterpark, consisting of seventy acres of family fun and adventures. A visit to the Canyon Lake is as much fun for avid fishermen as it is for those interested in prehistoric dinosaur tracks. 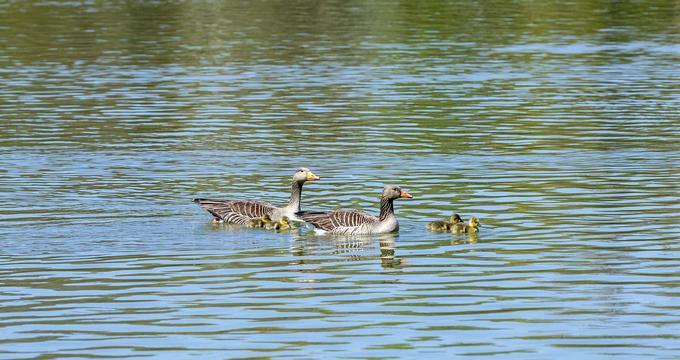 Established in 1898, Landa Park has been a popular urban oasis for locals and tourists ever since. Situated on 51 acres along the river, this large park has a range of facilities that offer entertainment and recreation for all generations. There is a large swimming pool, paddle boats on the lake occasionally filled with trout, a lovely picnic area in the shade of ancient oaks, a miniature train that crosses the park from end to end, a mini golf course and a maxi 18-hole golf course, tennis courts and two scenic hiking trails – the Panther Canyon Nature Trail and the Harry Landa Tree Trail. 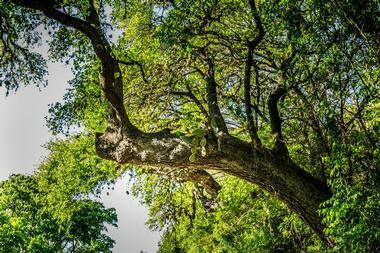 William and Dolores Schumann Arboretum will delight nature lovers with 96 species of trees. 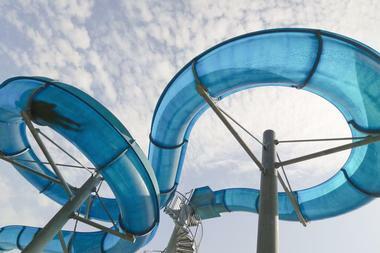 Schlitterbahn Waterpark Resort in New Braunfels is spread over 65 acres on the scenic banks of the Comal River. Actually, most water in this spectacular water park comes from the river. This family-owned resort and water park has been recognized for the last 15 years as being the best waterpark in the world, creating new attractions every year. McKenna Children's Museum offers kids interactive, hands-on exhibits that focus on culture, technology, and space with a goal of encouraging and unleashing learning and imagination. The range of exhibits is enormous, and there is something for everyone. The activities are linked to scenarios of everyday life that kids can explore, such as the Lend a Hand Ranch, Grocery Store, Outside the Lines Art Studio, Tot Spot, Destination Space, and so much more. Destination Space is particularly popular because it takes the kids out of their own world into another. They learn fun facts about space, have a light and music adventure, and even dress in special clothes for their space exploration. In the Grocery Store, they play at running a store and learn to count and speak Spanish. 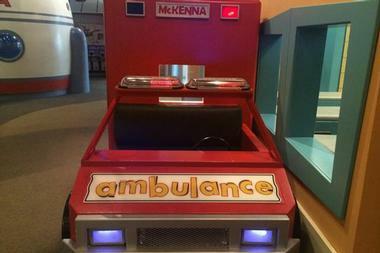 At McKenna Hospitable, they learn about what goes on in hospitals, in patient rooms, or in an ambulance. The Under the Comal River Exhibit teaches kids about creatures living in rivers and other waters. 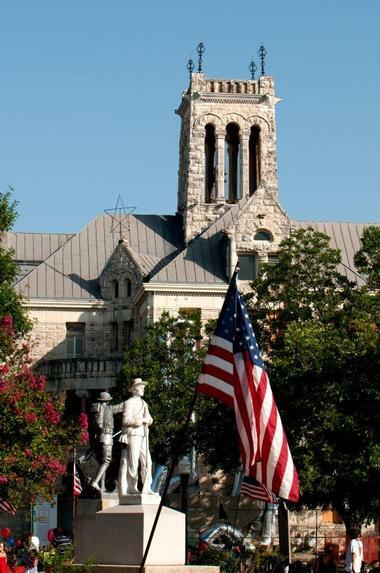 Exploring New Braunfels is fun – it is such a quirky mix of residential homes, beautiful historic buildings, great shops, museums, restaurants, and entertainment venues. You will find Naegelin’s, the oldest Texas bakery here, and Henne, the oldest Texas hardware store. During the last 40 years, the city put a lot of effort and love into making downtown and Main Street the way it is now. 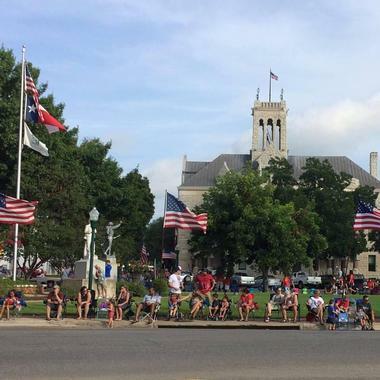 The area stretches from Seguin Avenue from one underpass to another and across ten blocks of San Antonio Street until it meets the Main Plaza with its lovely old fountain, sculptures, music pavilion, and meticulously landscaped grounds. Here, you can watch the parades and the Christmas “Festtage,” and listen to all kinds of concerts. About half way between Austin and San Antonio and less than 14 miles from New Braunfels, Canyon Lake is one of the deepest lakes in Texas. It is popular with fishermen, boaters, and everyone who likes spending a hot summer day on the water. 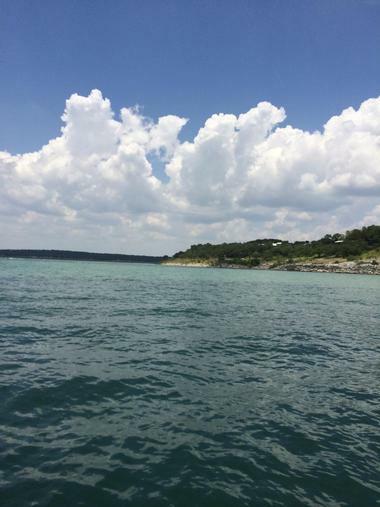 The lake is located on the Guadalupe River and offers 80 miles of scenic shoreline. Five communities are located around the lake, and you can also find a busy marina and two yacht clubs. Eight public parks, managed by The U.S. Army Corps of Engineers, offer picnicking areas, boat ramps, and camping. Below Canyon Dam, you can go tubing down the Guadalupe River. You can also explore the Canyon Lake Gorge with 100 million years old fossils and dinosaur tracks. Fed by natural springs coming from the Edwards Aquifer, the Comal River was for a long time the main attraction that drew tourists to New Braunfels. From the aquifer, the river flows through scenic Landa Park and passes through Downtown New Braunfels and nearby Schlitterbahn Waterpark until it eventually merges with the Guadalupe River. The water temperature is constantly 70-72 degrees, making it pleasantly refreshing during the hot Texas summer and warm enough for a swim in the winter. Nobody can come to New Braunfels without experiencing the most popular activity on the Comal River – tubing. 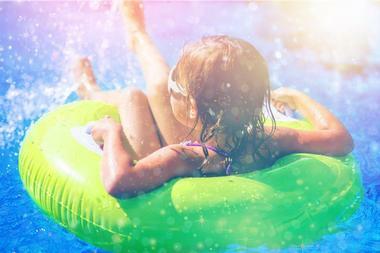 Tubes can be rented from one of several outfitters – all you need is your bathing suit. 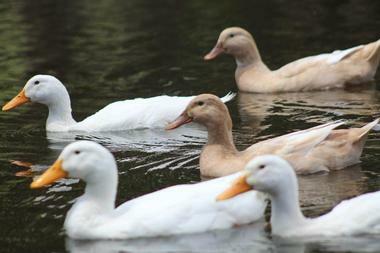 You can also enjoy the river by renting a paddleboat or a canoe at Landa Park. No visit to New Braunfels can end without at least one tubing trip down Comal River. One of the most popular tubing outfitters is Landa Falls, located on the river bank at the Wurstfest grounds. They offer one of the longest floats, and the portion of the river where they operate is less steep, making the trip slower and more suitable for children. Landa Falls offers tubes without or with bottoms, cooler tubes, and combination cooler and tube. They also provide life vests free of charge. Their free air-conditioned shuttle bus will take you back to the grounds where you can have a nice picnic on the lovely manicured grounds of the Wurstfest festival, or, if you did not have enough, you can even go on another tubing trip down the river free of charge. Tubing down Comal River is a popular activity in New Braunfels. The constantly pleasant water temperature makes this activity possible year around, and some people can never get enough. 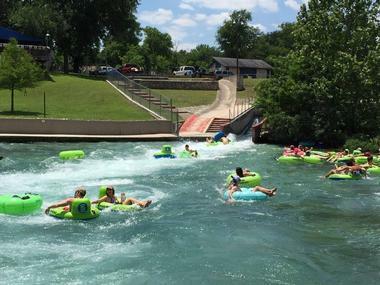 To accommodate them, Texas Tubes Outfitters, located in downtown New Braunfels on the banks of the Comal, offer day passes, which allow tubers to use a return shuttle throughout the whole day. So, up and down they go, down the river, up in the shuttle, in one of the bottomless or bottomed tubes with or without cooler. Most people rent the tube with a cooler or bring their own – drinking is allowed on Comal, and people take advantage of it. Life vests are optional and free of charge, but even with a vest, drinking too much on the water is not a good idea. 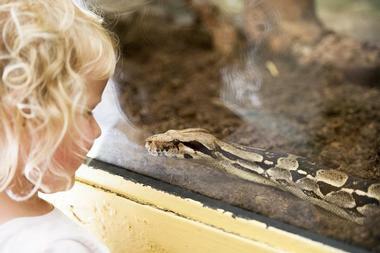 What started in 1967 as the popular Snake Farm became a fully accredited zoo in 2012. It still has lots of snakes and gators, but it now also boasts more than 500 different animals, most of which are rescues. You can come and see primates such as cute capuchin monkeys, exotic birds, cats, longhorns, and much more. Visitors can watch animal feeding or even handle snakes at specific hours. Feeding the wild animals is not allowed, but there is a nice petting zoo where kids can enjoy handing out snacks to the animals. The zoo encourages “adoption” of animals by asking for financial assistance in feeding them, and they stress animal care, conservation, and environmental stewardship. 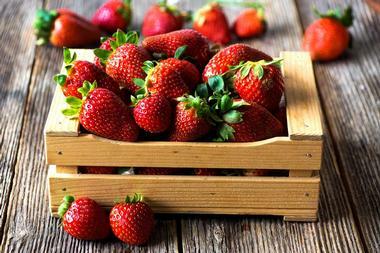 The New Braunfels Farmer’s Market is more than just a place to find fresh produce. Every Saturday, vendors from all over the area gather and sell everything from fruits and vegetables to pizza, chocolate, baked goods, meats, and cheeses. You can also find hand-made goods such as accessories, toiletries, and household products made from high-quality natural ingredients. Live entertainment and celebrations are often offered. Check the farmer’s market website for information on what is being offered each week. The market is open from 9am to 1pm every Saturday, rain or shine. 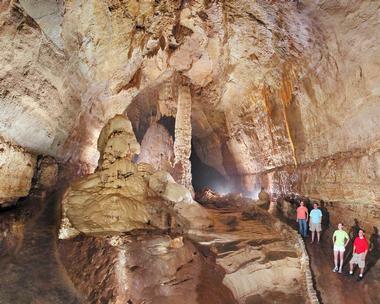 Natural Bridge Caverns offers a variety of outdoor adventures and fun for the whole family. Guests can see the beautiful stalactites, stalagmites, and rock formations of the caverns 180 feet below ground. Alternatively, they can climb to the top of a 60-foot obstacle course and take the zip line back down with the Canopy Challenge. Gem and fossil mining is also available. After all the fun, guests can grab a bite to eat at the on-site café or pick up a gift in the souvenir shop. All activities are appropriate for both children and adults. The caverns are open daily except for major holidays. The Brauntex originally opened in 1942 and operated as a movie theatre for decades. In the late 1990’s, citizens of the city came together to raise money to preserve the theater and make it into a performing arts center. Today, the Brauntext is one of the premiere destinations for performance arts in the area. 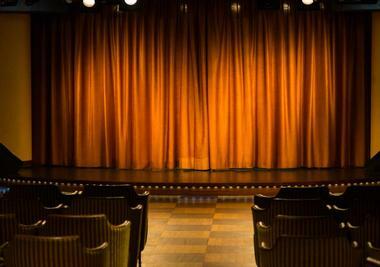 The venue seats 605 and combines modern technology with the art-deco style of the past. Country music singers, bands, comedians, and plays are just some of the shows that come to the Brauntex each year. Tickets can be purchased online or at the theatre’s box office. It’s a blast from the past on the Texas prairie! The Stars and Stripes is one of the few remaining drive-in movie theatres in the United States. This family-owned and operated establishment is open Friday through Sunday year-round, rain or shine. Three huge screens show three different films each night. Tickets are issued for a double feature, so patrons get two films for the price of one! 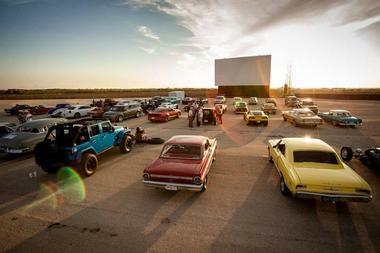 In addition to movies, the drive-in has a 50’s themed café with affordable snacks such as burgers and fries, corn dogs, funnel cakes, and, of course, popcorn! Tickets can be purchased at the theatre or online. Experience all the historic and cultural sites of New Braunfels up-close, in person, and on foot! Spass Walking Tours offers a variety of easy walking tours to help visitors get the most out of their trip to the city. 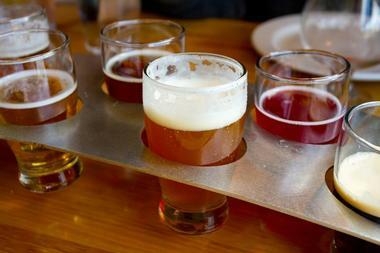 The Hill Country Craft Beer Trail offers guests a taste of Texas, one sip at a time. The Hill Country boasts an impressive number of breweries, and travelers can experience all or a few of them on a craft beer tour. Tourists ride on a comfortable shuttle bus with complimentary food and drinks through the beautiful Texas countryside, stopping at breweries along the way. Tours vary in length from as few as three breweries to as many as eight. Tours can be booked in advance by phone or online. 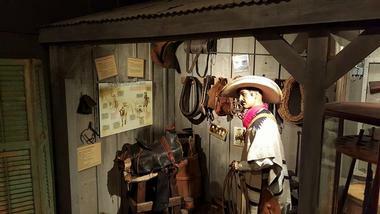 Exhibits feature historical artifacts, photographs, and maps of the area then and now. The museum also serves the community by offering lectures, events, and research materials. The Sophienburg is open Tuesday through Saturday from 10am to 4pm, except on major holidays. 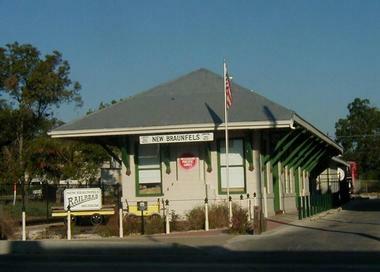 Explore the history of the railroad in Texas at the The New Braunfels Railroad Museum. The members of the NBHRMS have restored the International & Great Northern, Missouri Pacific, and Union Pacific depot building into a museum that is open to the public free of charge. Exhibits include a restored Pullman dining car, a 1950 caboose, and various historic train artifacts and displays. Visitors can even take the controls and drive model trains around large displays. The museum also offers train shows, kids’ fun days, and a library of approximately 600 railroad-related books. The Faust Street Bridge has been a New Braunfels landmark for over 100 years. 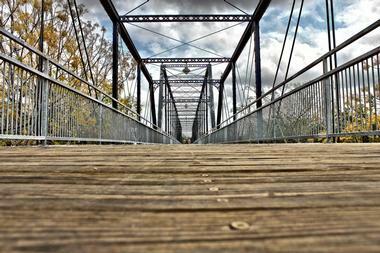 This Whipple truss bridge was constructed over the Guadalupe River in Comal County in 1887. The bridge was one of the first toll-free passages across a waterway in Texas, as most bridges at the time were privately owned and operated. The bridge was also one of the first multi-span Whipple truss bridges, and it is one of the few left in the state. The Faust Street Bridge originally carried horse-drawn carriages and wagons across the river before it started transporting automobiles. In 1978, a fire damaged the bridge, and it was closed to traffic. Today, the bridge is open to bicycles and pedestrians. 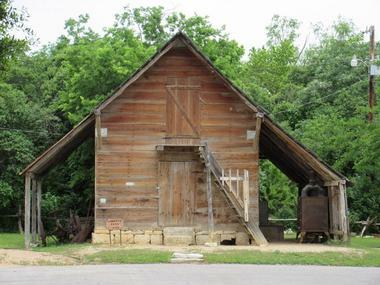 The New Braunfels Conservation Society is a 3.5-acre complex dedicated to preserving the unique history and way of life of the early settlers to the area. Eighteen historic buildings, including a bed and breakfast, saloon, schoolhouse, barber shop, and music studio, tell the story of life in New Braunfels since its founding in 1845. Tours are offered Tuesday through Friday from 9:30am – 11:30 am and from 1:00pm- 2:30pm. Weekend tours are available from 1:00pm -2:30pm. The complex can also be rented out for weddings, parties, or retreats by contacting the Conservation Society office. The Circle Arts Theatre first opened in 1968 and has been providing high quality theater arts and music to the people of New Braunfels ever since. The theatre company has staged over 130 productions and, in their own words, they are “dedicated to the pursuit of excellence in the performing arts and the affirmation and growth of the human spirit.” Productions include dramas, comedies, and musicals. Circle Arts also has a touring youth company and summer theatre camps for kids. At the Museum of Texas Handmade Furniture, visitors will learn about the history of German immigration to the Texas region, and they can view the furniture they specialized in making. 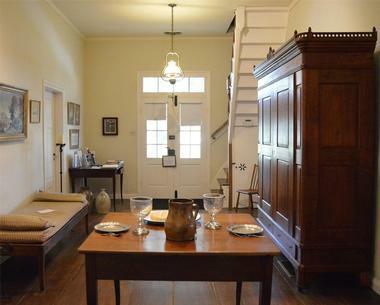 The museum was once the home of furniture collectors Nan and Bill Dillen. It now showcases their collection of over 70 pieces of antique Biedermeier furniture, as well as a collection of handmade quilts, English ironstone, and period accessories. A log cabin, summer kitchen, and cabinet shop are also on the property, and they are open to tours. Museum hours vary. Please visit the museum website or call for more information. 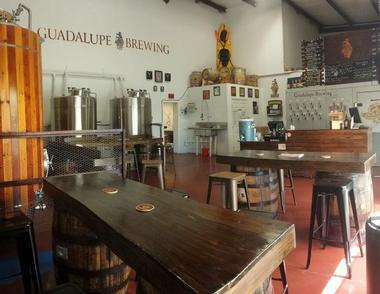 Guadalupe Brewing Company in New Braunfels is riding the wave of the lively growing craft beer scene in Braunfels and Central Texas. The owners Kieth and Anna Kilker, who started the brewery in 2011, focus on full flavored, balanced, and drinkable craft beer, using natural, locally sourced ingredients. 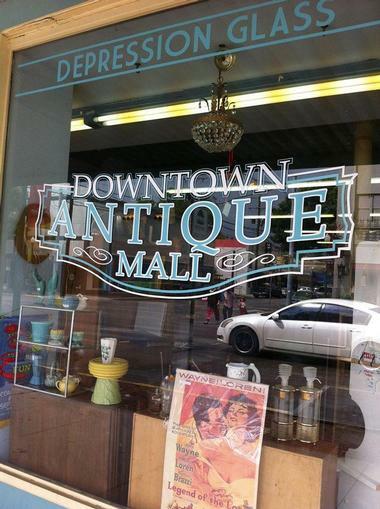 The Downtown Antique Mall in New Braunfels, Texas is an antique lover’s dream! The mall is housed in a restored building from the early 1900’s. 6,000 square feet of space house items from more than 60 vendors. Items available include antique furniture, depression glass, art, collectibles, vintage memorabilia, books, silver, jewelry, coins, and more! All items are displayed in a clean, well-organized space. The owners are always ready to help collectors find that special item for which they’ve been searching. The mall is open daily until 6:00 pm. Prince Solms Park is the place to be for outdoor fun. This 19-acre playground features lighted basketball and tennis courts, a large play area, picnic areas, and a 9-hole disc golf course. Best of all is the park’s access to the Comal River. The Comal is a flat, spring-fed river, which means that the water is always cool and inviting, even on the hottest summer days. 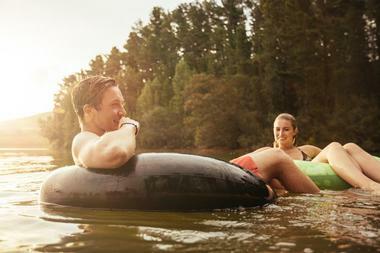 Inner tubes can be rented from several nearby vendors for a lazy float down the river. There is also a “tube chute,” which is a water slide carved into the side of the river dam, and swimming holes upstream from the chute. The Texas Ski Ranch is one of the top facilities in the world for water sports. This 70-acre outdoor sports complex offers activities such as wakeboarding, water skiing, boating, and paintball. There is also an outdoor skate park for skating and skateboarding and an indoor trampoline park for those aged 6 and up. Guests can even learn to snowboard here! Activities are available for both children and adults. The ranch also offers private lessons, camps, birthday parties, and after-school programs. The park is open year-round with specific hours for each activity.